Joking aside, a common concern for Livingston patients can be stained teeth. I’m Dr. Gabriel McCormick of Bozeman Dentistry – Gabriel McCormick, DMD. 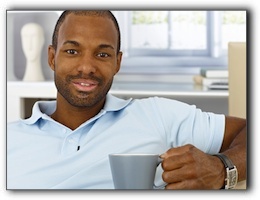 Today, let’s talk a little bit about a common cause of tooth staining: dark beverages like tea. Over time, tea can stain the plaque that may eventually turn into tartar. Plaque can be brushed and flossed away. Thorough daily rituals of oral cleaning are valuable for this. Tartar (which forms if the plaque remains on the teeth for over 24 hours), on the other hand, will need to be removed in-office during a teeth cleaning appointment. Either way, between cleanings a wise method for avoiding tea staining is to rinse with water after drinking tea, or to eat something and then to be sure to brush and floss all surfaces of the teeth at the end of the day. The cost of living is going up in Livingston, Belgrade, and Big Sky. Come in, Bozeman, and let us share our competitive pricing, financial options, and superb service with you. Cosmetic dentistry may be less pricey than you think. Our specialty is cosmetic dentistry. A popular service in our office is porcelain veneers. We would love to do dental implants or teeth whitening if that appeals to you.